Pets are not permitted in the day use area, on beaches or in designated swimming areas but are allowed in the campground, on trails and elsewhere throughout the park. Go 5 miles south on Hwy. 102, then 5 miles SW on State Forest Hwy. Camping: There are 34 tent/RV sites and 25 lean-to sites. Hiking: There are hiking trails throughout the park. Swimming: There are several beaches with designated swimming areas at the park. Boating: Boats are welcome at the park, though there is no boat launch. A Fish & Wildlife Access Area is available nearby to launch boats. Kayaks, canoes and a rowboat can be rented through the park office by registered campers for use on Maidstone Lake from the campground. Fishing: Trout, perch, bullhead and panfish can be found in Lake Maidstone. Picnicking: There are plenty of great picnicking spots throughout the park. There is also a pavilion available to rent for group functions. Maidstone is the most remote of Vermont's state parks and still retains much of the character associated with the Northeast Kingdom. Maidstone Lake was created when glacial ice carved out a deep basin in a preexisting valley. When the last glaciers melted 12,000 years ago, a deep, clear and cold lake was formed. The lake offers good lake trout and salmon fishing and has had some outstanding record catches. Maidstone Lake is a great location to view nesting loons. The loon loves the solitude of the northern lakes whose shores are rimmed with spruce-fir shade. Once common in Vermont, the loon has recently been removed from the endangered species list, but remains a species of concern. Maidstone was designated by the state of Vermont as a state park in 1938. The camp areas were wilderness, but the area around the lodge was a Civilian Conservation Corps camp. 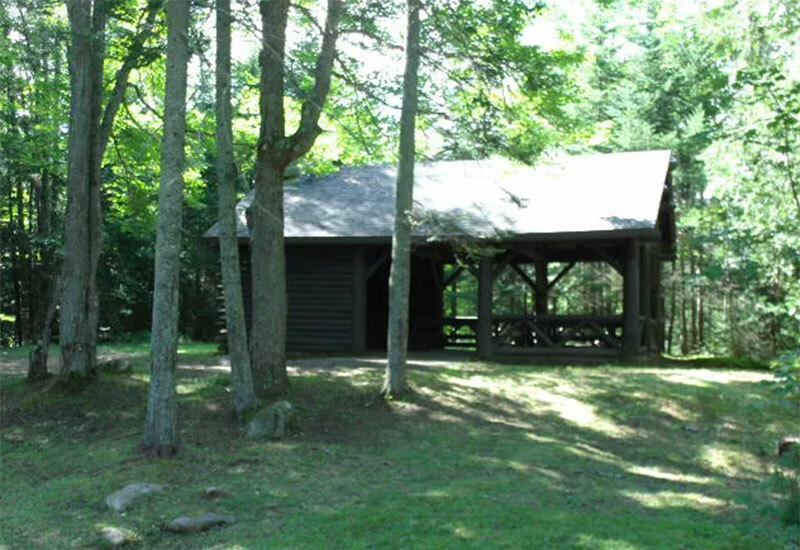 The CCC built many sites with fireplaces for camping, the lodge, and a picnic shelter, which are still in use today. The campground has 34 tent/RV sites and 25 lean-to sites. There are restrooms with flush toilets and hot and cold running water, and two of the three restrooms include coin-operated hot showers. A sanitary dump station is available, but there are no hookups. There are play areas, hiking trails, and swimming beaches in the campground. A swimming beach and an additional restroom is available at the day use area. The park also has a picnic pavilion that can be rented. The pavilion seats up to 35 people and has a fireplace, picnic tables, and a restroom nearby. There is no electricity, but the pavilion is universally accessible. The cost is $100 to rent (Fri - Sun) and FREE Mon - Thu.